IT solutions for manufacturing companies must address several unique IT challenges. Your machinery needs to be up and running as scheduled, and you need to maintain strict adherence to precision processes, high tolerance thresholds, quality assurance requirements and product traceability/genealogy mandates. Workers and office staff need reliable access to their computer systems both in the office and on the plant floor -- because every minute your network is down and your team isn’t productive, you risk manufacturing slowdowns, missed deadlines, slow transactions and lost orders -- a direct hit to your company’s bottom line. Give your manufacturing company an edge in today’s competitive market by working with a knowledgeable IT solutions provider -- ANP. At ANP, we understand the unique needs of your manufacturing company and support the software you typically use during the course of business. When you partner with ANP, we proactively handle everything an in-house IT department would handle but at a much more cost-effective rate. 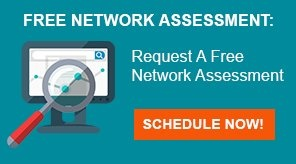 Plus, we maintain your network with a flat-rate monthly service, which keeps your IT budget under control. And tech support is always just a phone call away -- because we understand that computer support is needed 24/7 to keep your manufacturing processes operating smoothly. With properly designed manufacturing IT solutions from ANP, you’ll maximize your company’s efficiency, protect your network and secure your information resources. By virtually eliminating downtime, you increase your team’s productivity and your company’s revenue -- and gain the flexibility you need to compete globally. ANP will work closely with your Line-of-Business (LOB) software vendor to insure the LOB software is properly configured, and is running at the current release, or your desired release level. ANP will monitor and manage your servers by insuring patching and anti-virus are current and operating correctly. ANP will also monitor and manage the backup process on your LOB server. ANP will work closely with your LOB software vendor to insure the server and desktop IT environment is optimized. You may request ANP upgrade your LOB software once you and your software provider have agreed on the appropriate release to be deployed. You and your team will continue to receive end-user software support directly from your LOB software vendor. ANP would offer to interface with the LOB software vendor as needed on your behalf, leveraging whatever type of support agreement you have in place with the LOB software vendor. 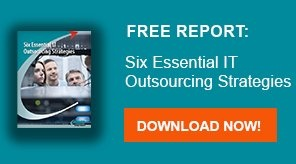 Need help with your manufacturing IT solutions?